Gary Owen Darrell was born January 10th, 1947 in Hamilton, Bermuda. 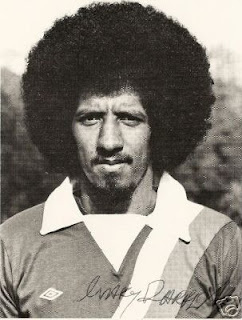 Started his career in Bermuda, playing for the Wellington Rovers and the Devonshire Colts, whilst in Bermuda he was a FA Cup, League and Friendship Cup Champion. 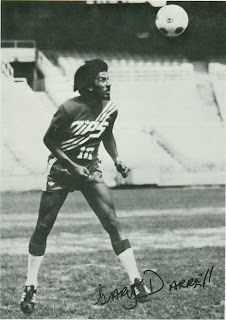 His NASL career started in 1972 with the Montreal Olympiques, appearing in 4 games and scoring 1 goal. His following year with the Montreal team saw him star in 19 games and scored 3 goals with 5 assists, for 11 points. Gary joined the Washington Diplomats as a free agent in 1974, making 19 appearances and adding another 6 goals to his tally. He would remain with the Diplomats until 1980, with a record of 119 appearances and 20 goals. During this time he captained the side for three seasons. He was a guest player for the Rowdies during their Haiti Tour in 1976. Today, Gary is back living in Bermuda. If Gary should ever come across this, please could you email me. Many thanks.